Adelle F. Hauer, 82, Dorothy Love Retirement Community, 3003 W. Cisco Rd., Sidney, Ohio died at Dorothy Love on Saturday, December 16, 2006 at 9:30 PM. She was born May 20, 1924 in Lakewood, Ohio the daughter of John J. and Marie A. (Schon) Hauer and they are deceased. Surviving is one sister, Marilyn Van Allen and husband Leroy of Sidney, Ohio and one brother, Richard J. Hauer and wife Connie of Jacksonville, Florida. One sister, Doris Hauer and one brother, John Hauer are deceased. 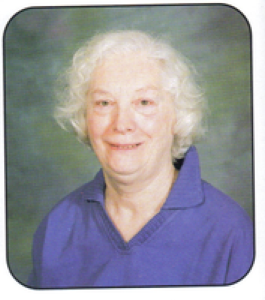 She was a member of Holy Angels Catholic Church and the Holy Angels Prayer Group. She had been a receptionist at ITT in Los Angeles, California for twenty years. A Mass of Christian Burial will be held on Wednesday, December 20, 2006 at 10:30 AM at Holy Angels Catholic Church with Rev. Patrick McMullen. Burial will be at Sunset Memorial Park, North Olmstead, Ohio. Friends may call at Salm-McGill and Tangeman Funeral Home on Tuesday, December 19, 2006 from 5-8 PM.